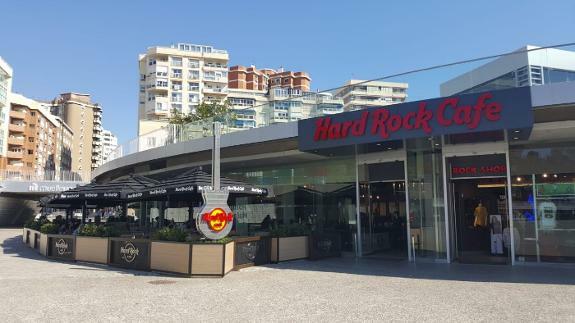 Originally scheduled to open for Easter, the American casual dining Hard Rock Café surprised visitors to Malaga’s Muelle Uno on Sunday by opening its doors early without any prior notice. Spain’s newest Hard Rock Café will feature delicious cocktails craft beers and of course their legendary burger. Known for having rock star memorabilia on its walls the Malaga hard Rock has items that belonged to Jimi Hendrix, Eric Clapton, Rod Stewart, Shakira, Beyonce and Elton John. The Hard Rock Café Malaga is located in the Muelle Uno Shopping complex adjacent to the port and marina and can accommodate up to 350 diners. The Hard Rock also features a souvenir shop and a rooftop terrace with stunning views of the marina and historical centre. During July and August, both the bar and restaurant will stay open an hour longer.